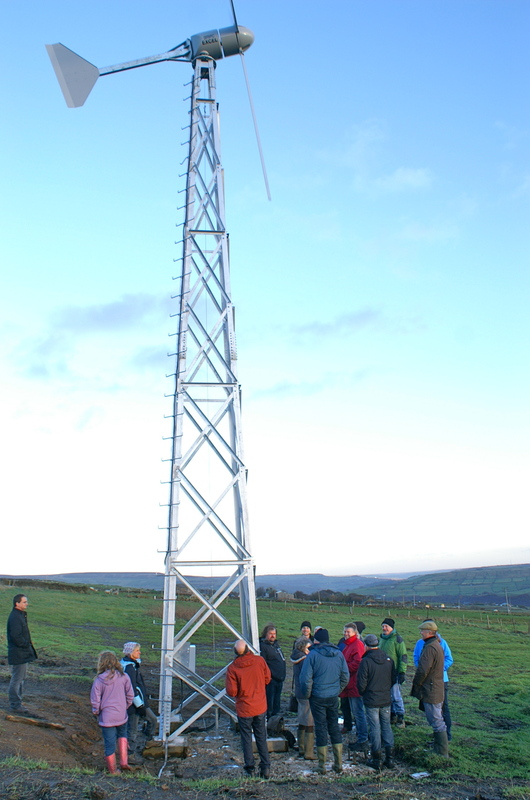 Pennine Community Power’s wind turbine in Blackshaw Head has hit the 100,000kWh generation milestone. That’s enough electricity to power more than 25 homes for a year. 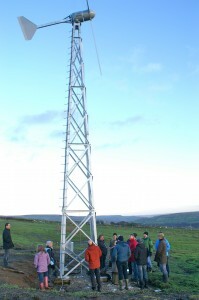 The community benefit society, Pennine Community Power, installed the turbine four years ago, with a grant from Village SOS, part of the Big Lottery Fund, and investment by 66 local residents in the upper valley. “We are delighted to have reached this milestone. The turbine has generated more than forecast, earning income from the feed-in-tariff sufficient to pay for the investment and to contribute to our fund with the Community Fund for Calderdale. Grants worth over £4,000 have been made to the community for environmental projects and the Hebden Bridge flood relief fund. Even this small turbine has made a difference to climate change, avoiding emissions equivalent to those of 40 cars. PCP is holding a public meeting on Thursday 17th November at 8.30pm at the Town Hall in Hebden Bridge. Aneaka Kellay from the Carbon Co-op in Manchester is coming to speak about local community owned grids and how these could offer savings and benefits to the community. Come along and find out more about your local community energy organisation, or see: www.powerinthecommunity.org. PCP can be contacted at info@powerinthecommunity.org. Community energy is an ethical, green way that local people can invest in renewable energy schemes that provide a return through interest payments that exceed what most banks saving schemes offer. Pennine Community Power aims to pay interest of 4% to its members. Community benefit societies are regulated by the Financial Conduct Authority and have to benefit the community; PCP achieves this through the fund administered by the Community Foundation for Calderdale. This entry was posted in Energy and tagged Community renewable energy, ethical investment, Pennine Community Power by jenny. Bookmark the permalink.